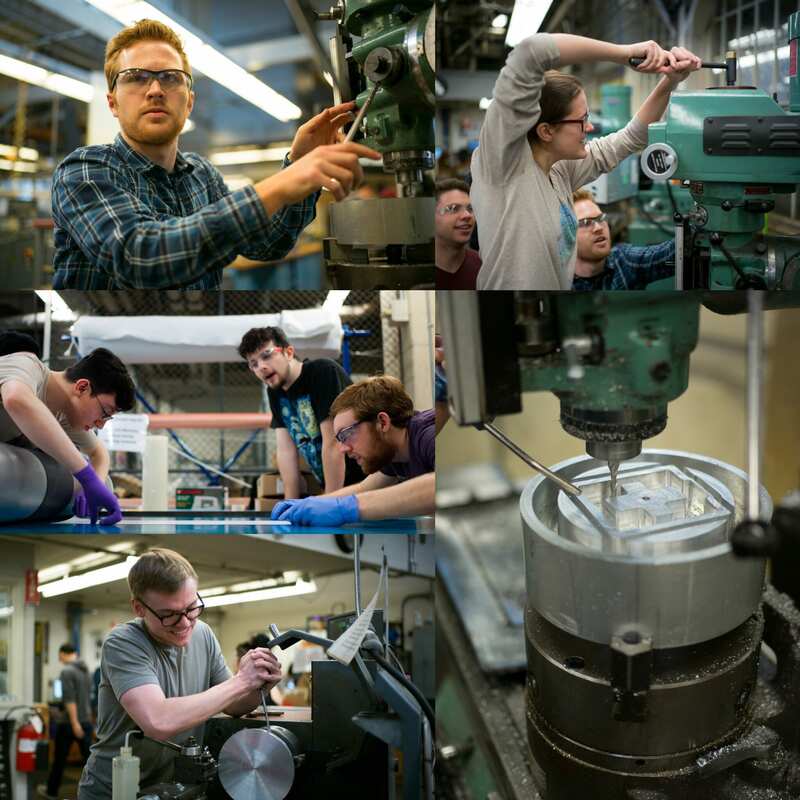 Now that Winter Quarter 2019 is here, we’re finally ready to start the manufacturing process for our rocket. Designs have been finalized and testing will soon follow! 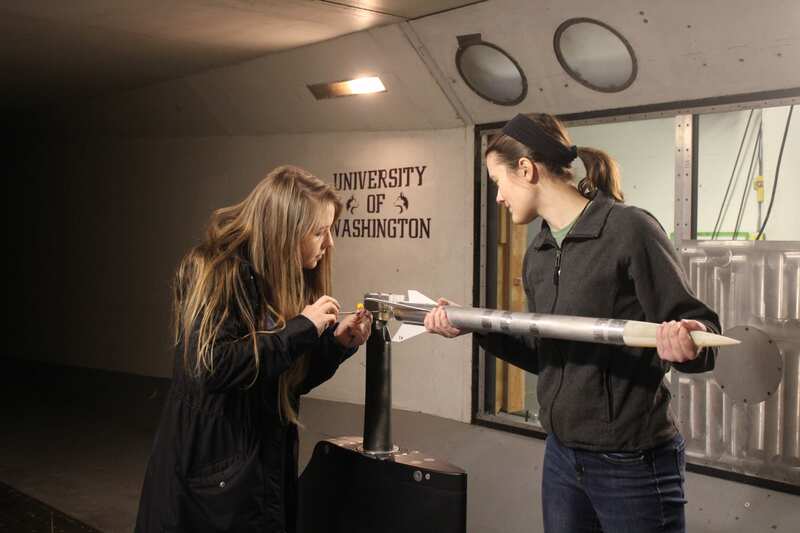 The Propulsion team will be busy working on our fuel and oxygen tanks, as well as plans for some static fire tests. The Structures team will be finishing up their prototypes, testing them, and beginning production on our finished product. 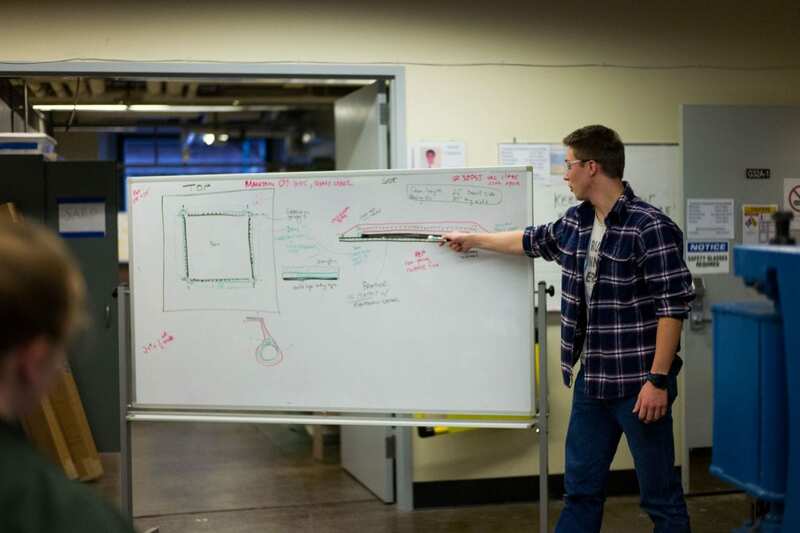 The Avionics/Recovery and Payload teams will finalize their designs based on recent feedback and complete their manufacturing process this quarter, so keep a close eye on them. SARP is going to be busy this quarter, so keep an additional eye on our website and social media. We’ll have more for you soon. And here’s a shoutout to everyone who helped fund SARP via Funderbolt and private donations! We wouldn’t be here without you! Posted on November 19, 2018 Author SARP at UW	No Comments on Welcome to the 2018-19 Team! Welcome to the 2018-19 Team! The 2018-19 school year has started and we are officially underway in building a hybrid rocket for IREC 2019! When SARP first started in 2012, our team consisted of just 10 students, brought together by a common interest in exploring rocket science. Now in 2018, just 6 years later, we have reached over 200 members from a wide range of disciplines and majors! 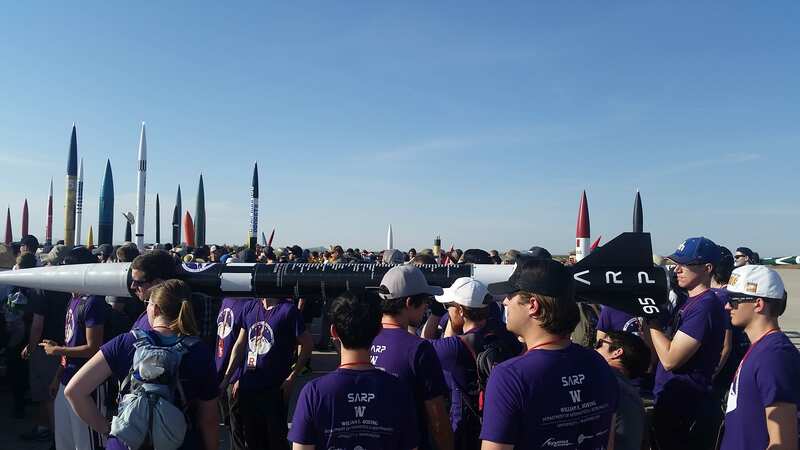 And even better news, we placed FIRST PLACE at IREC 2018 in the 30K feet Student Researched And Designed(SRAD) Hybrid rocket category! Click here to see the full list of results. Plasma payload: The project will investigate plasma electrode geometry and the system will sit in the nosecone of the rocket. The objective is to test the validity of a plasma actuator as a flow controller by measuring flow disturbances due to plasma formation during the flight of the rocket. Composite overwrapped pressure vessel(COPV): This project aims to design, manufacture, and test a flight-ready composite-wrapped oxidizer tank to replace last year’s aluminum oxidizer tank. Posted on September 9, 2018 Author SARP at UW	No Comments on 2018-19 Team Applications – Round 2 Now Open! 2018-19 Team Applications – Round 2 Now Open! We have re-opened our 2018-19 application for those who did not apply this spring. We welcome applications from all students, but specifically are looking for 1st and 2nd years from all majors during this application period. Again, please note that returning SARP members do need to fill out an application form. If you have any questions at all, email us at sarpuw@gmail.com. Posted on May 24, 2018 Author SARP at UW	No Comments on 2018-19 Team Member Applications Now Open! 2018-19 Team Member Applications Now Open! Next year’s SARP leadership has now opened the application for the 2018-19 team! We are looking to recruit team members from all departments and graduation years. You’ll see on the form that we will be opening a second application in September, so if you miss this round don’t worry! If you are interested in serving as a project lead, however, please fill this out as soon as possible. We will begin assigning project leads very soon. Also note that returning members do need to apply so we can best place you within SARP. If you have any questions, email us at sarpuw@gmail.com. We’ve released the winter quarter newsletter! This edition features some of the amazing juniors involved in SARP and highlights their specific projects. Interested in hearing about what we learned from last year’s results? Want to know what our goals are for this year? Curious about the changes we’re making to the team? Read all about it in the Fall newsletter! This year’s USEED campaign is live! It’s a significant financial challenge to build a rocket every year, and we need your help to make it happen in 2018. We are raising funds for this year’s expenses, which includes materials, machining costs, fuel, and travel to the Spaceport America Cup. 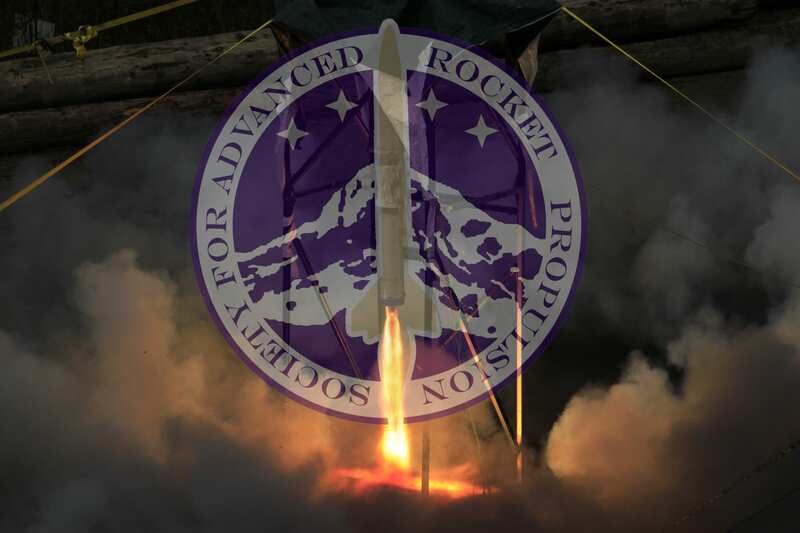 We rely solely on support from our community and sponsors to build our rocket every year, and it wouldn’t be possible without help from our friends. Check out our USEED page for more information! If you’re interested in corporate sponsorship, please email the team at sarpuw@gmail.com! Don’t forget to submit your team member application by Friday, October 13th at 5:00pm. That’s right, THIS Friday the Thirteenth. Tomorrow! If you have any last minute questions about the application or any of the requirements, be sure to email us at sarpuw@gmail.com as soon as possible. We’re looking forward to reviewing all of your applications! Welcome back to the school year! We hope you’re all as ready to start building a rocket as we are! The leadership team will be holding TWO information sessions during the first two full weeks of school before the team applications are due (on October 13th). What is a team member’s typical time commitment during the week? What does each team actually do? How can I be involved in the team, even without a ton of experience? How does working on the team fit with my Capstone project? What kind of experience can I expect to gain while working on the team? And anything else you need answered by this year’s leads. You are encouraged to bring your friends of ALL majors – both engineering and non-engineering, as we need people from all backgrounds on the team. We hope to see you there!